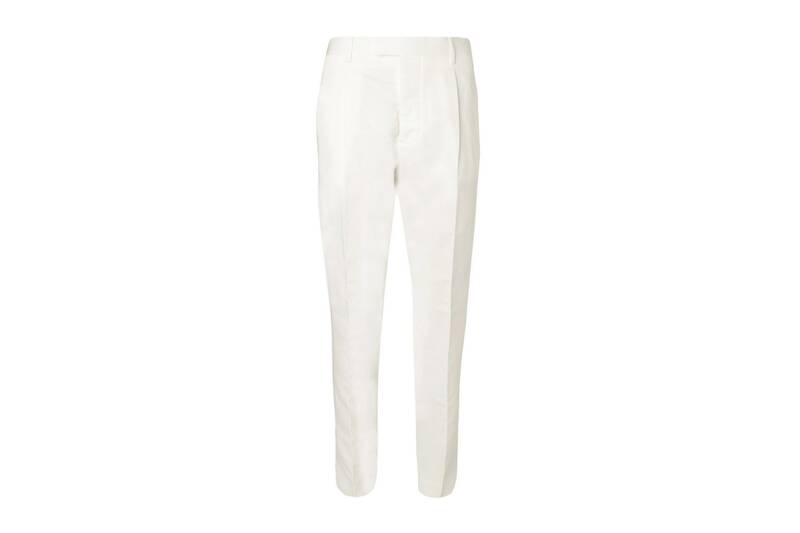 How to wear white way, way after Labor Day. Earlier this week, Malek and Smith slipped into formal evening wear for parties in London and Los Angeles, respectively. But instead of putting on classic tuxedos, both guys flipped it in reverse, wearing black shirts underneath white tailoring. 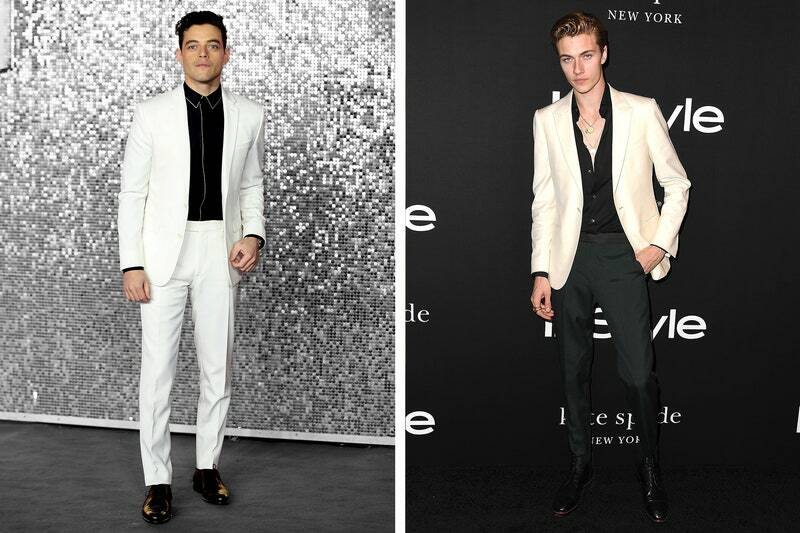 Malek went big in a white suit and black shirt from Berluti. This might seem like a bold move for you, someone not cast in a Freddie Mercury biopic, but when you witness the shenanigans happening on shelves right now, you’ll realize that you won’t be the only person taking chances on New Year’s Eve this year. 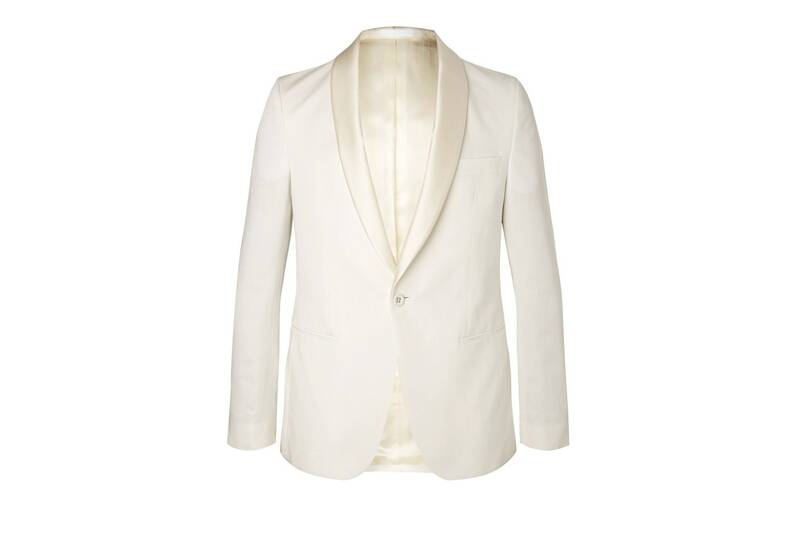 Smith’s version, an ivory dinner jacket worn over a black shirt and pants, is deeply stylish in its own right, and admittedly more affordable to recreate. 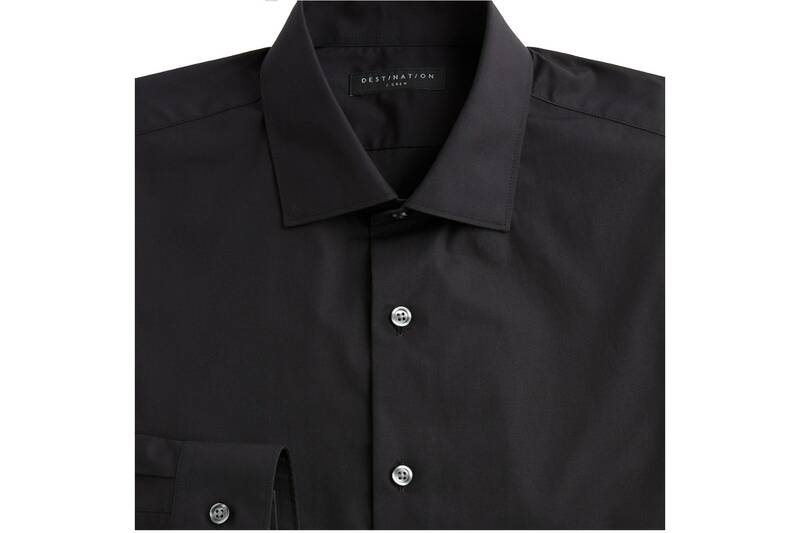 Pile on some gold jewelry and go two or three buttons deep with your shirt and you’ll look more Studio54 than 007 (a.k.a. more 2018 than 2008). If you appreciate these ideas but know, in your menswear-loving heart, that you probably won’t motivate to buy white tailoring, there is yet a third option for you: copy the bookends here. 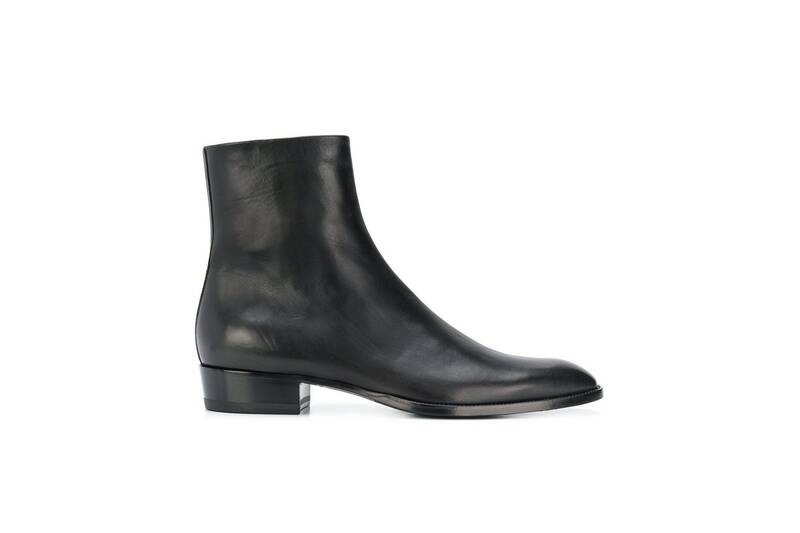 Those shiny black Beatle boots. That shiny swept-back hair. 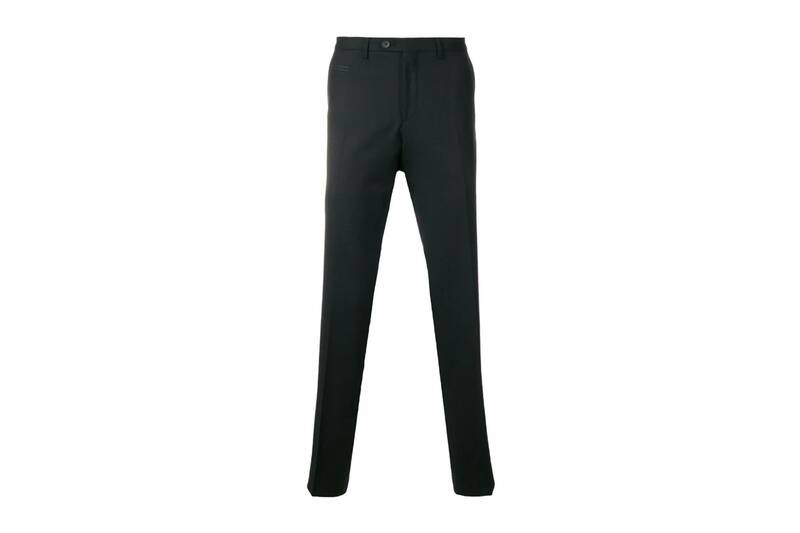 Put those two things on any ordinary party look, black jeans and a black crewneck let’s say, and watch your swagger levels rise to karaoke-friendly levels.